Can Hanna and Will Find True Love amid the Bright Lights of Reality TV? Perfect for the fans of The Bachelor and The Bachelorette! Debut author Krista Phillips is someone to keep your eye out for! She will have more books coming in the future. From the laugh out loud moments to the deep ponderings, the characters will have you thinking about your own relationships and marriages. If you don't have a heart check after reading this great fiction book, then you may have missed the purpose. Written very similar to the story of the Bachelor/ Bachelorette, this book is like a reality tv show with the drama, but if you are expecting a reality tv romance, expect something different! 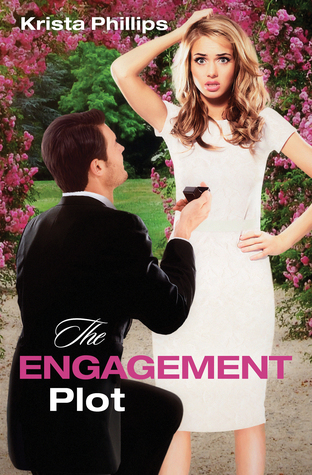 Between humor, faith and romance, this book is everything a romantic comedy should be and more! This book was enjoyable and a fast read. I found it to be quick, light hearted, but had depth to it. The pages were turning, which I love and it kept me interested the whole time. I give this book 4.5/5 stars. A favorable review was not required.